Remastering projects don't come much bigger than this: a team of engineers spent four years in Abbey Road creating the definitive Beatles collection. Faced with, on one hand, the demands of purists, and on the other, the expectations of modern listeners, the team chose to take two directions at once. 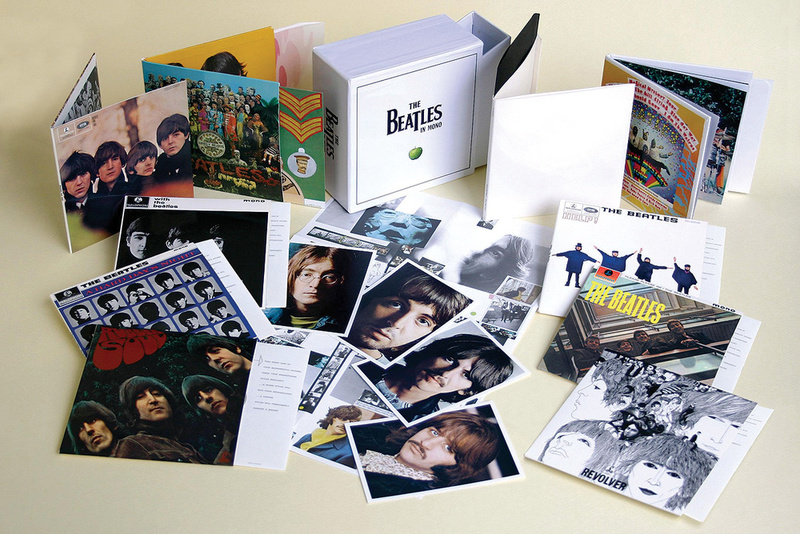 For collectors and audiophiles, they created a box set comprising all the original mono versions of the Beatles' albums (less Abbey Road, which was not issued in mono, and Yellow Submarine, where the original mono was a straight fold‑down from the stereo), which for the most part was as faithful as possible to the source. Simultaneously, they reworked the stereo catalogue for release in a second box set, and also as individual albums — again treating the material with respect, but not shying away from the application of modern technology, if it was felt that fidelity could be improved. Steve Rooke's mastering room at Abbey Road. "I think one thing people will notice is more low end and more top end, and the majority of it was what we got out of the tape,” adds Paul. 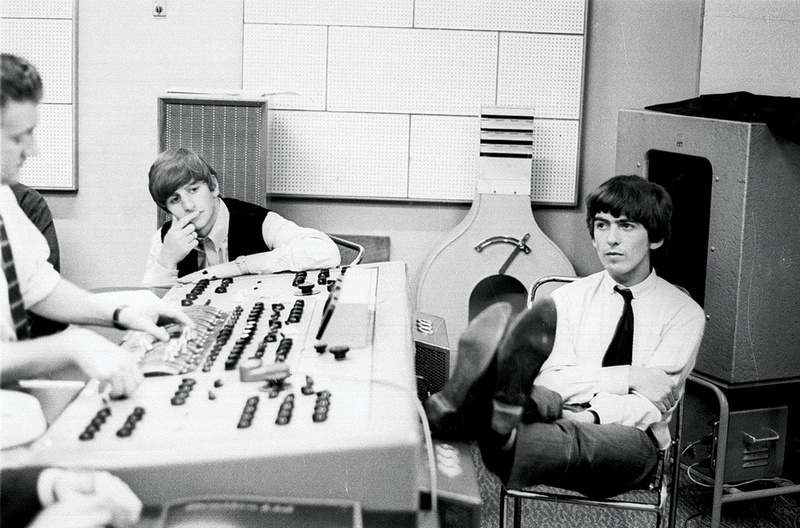 George Harrison puts his feet up during a long mixing session at Abbey Road; Ringo Starr looks on. 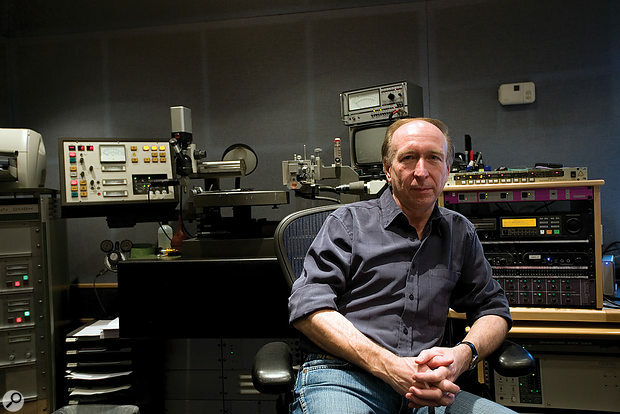 The digital files were recorded in Pro Tools at 24‑bit, 192kHz through a Prism A‑D converter. "The Pro Tools system was treated as a tape machine,” says Paul. 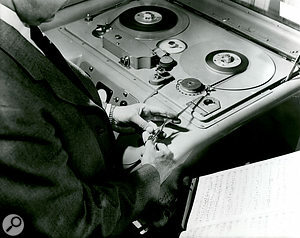 You can play as any of the four Beatles, and the playing principle requires that their individual instruments be streamed on separate tracks — something of a challenge when, in many cases, they were all recorded to one! 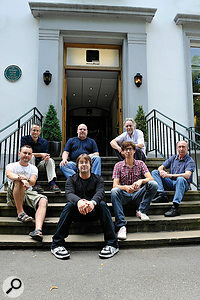 Paul worked with Giles Martin to prepare the music for the game. 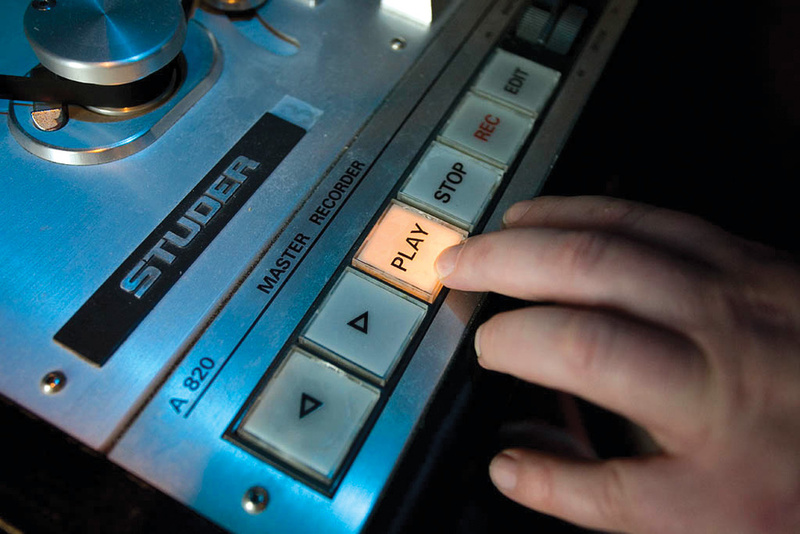 "A lot of people have said, 'Do you just put the stereo mixes in?' Well, no, because if you stop playing the guitar, the guitar has to stop playing. If you stop playing the drums, the drums have to stop playing. "There's guitar, drums, bass, vocals and, on this game, backing vocals as well, and there's a backing track which is everything else, so maybe strings or something. We did push the boundaries with that sometimes — if there isn't a guitar for three‑quarters of a song, we'd put a string element in or a piano element in, so at least the guitar can still be playing something. 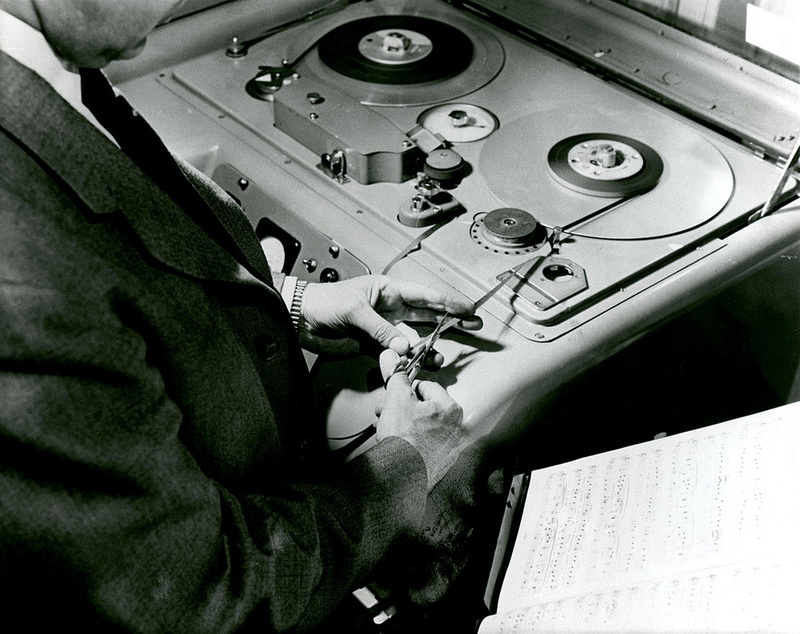 "We start with the multitrack. 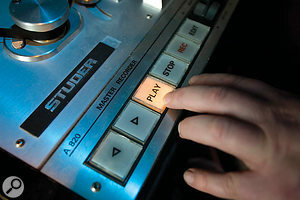 We basically mix it, we get happy with the sound of it — we've still got the plates and everything here — you make it sound like the mix and then you have to 'de‑mix' it. Every era has its own challenge. When you get to the end [ie. 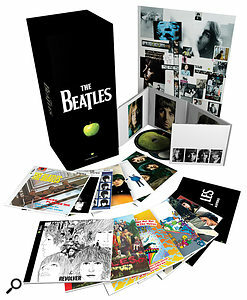 the Abbey Road album] it's a little easier because everything went to 8‑track. Again, Giles and I went through a lot of thought processes, and we ended up utilising Simon [Gibson] here with his Retouch system. With a lot of the processes we'd been fiddling round with on the remasters, it was like 'Maybe we can push it further and try some advanced filtering.' And a lot of the time we'd get it back and Giles and I would look at each other and be like 'Bloody hell, that's brilliant.' We'd be taking the bass line out and this and that — it's one of those things that you don't know until you try it — but obviously, if you just filter the low end out, you're going to be getting rid of the kick drums and stuff, which we weren't comfortable doing. We knew there would be limitations, because a lot of the time you've got drums, bass and guitar all on one track, so you have to look at it as an advanced bottom/middle/top instance.